Rougher Magic creates ‘Miranda 2’ (of 3) | Nasty Shadows Theatre Co.
Julie MacDonald has been in New Brunswick since 1984, and a Shadow since bringing ‘Older Female Actor’ to life in her first Nasty production, This Is A Play — staged in 2007 & again in 2010. 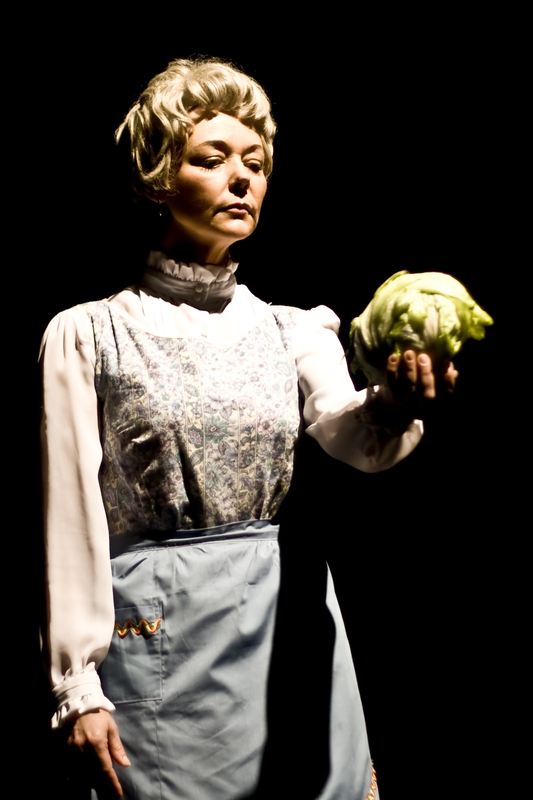 Playing ‘Agnes’ in MacIvor’s Marion Bridge was a fitting role for her as she lived the first half of her life (thus far) in Ontario and was born in Toronto. Mother of 2, Scott and Monica, Julie works and lives in Fredericton. Since graduating from Arts with a Theatre Minor in 2006, where Julie performed in several shows with Theatre UNB, she has also acted with Theatre Free Radical (Free/Fall @ the 2004 Toronto Fringe; I Am Yours in Fredericton, 2006). Her last Nasty appearance found her as the brothel manager, ‘Mrs. Needham’, in the fall 2012 production of The Art of Success. Julie brings an honesty to the stage that welcomes both the audience and Shadows alike, and the Company is happy that integrity is part of our work. Julie’s upcoming portrayal of ‘Miranda 2’ in Rougher Magic: A cubist Shakespeare — the first female to bring the role to the stage — will offer a feminine depth heretofore unseen in this character. Posted on August 13, 2014, in Production News, Theatre Stuff, Theatrical Stuff and tagged Julie MacDonald, Nasty Shadows, Robert Moore, Rougher Magic, Scott Shannon, Shakespeare, The Tempest, Theatre. Bookmark the permalink. Leave a comment.